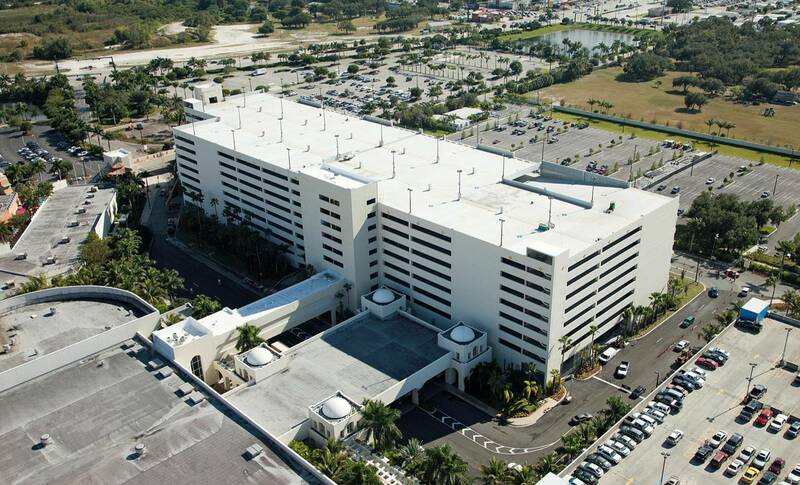 We provided the wayfinding and signage design services for the Seminole Hard Rock Hollywood parking garage and casino modifications. The Winner’s Way garage officially opened on December 15, 2010 with the grand opening event setting a Guinness World Record for the “World’s Largest Guitar Smash” by smashing 1,914 guitars in unison. The Winner’s Way garage was designed by Klai Juba Architects based in Las Vegas, NV. We also provided the signage and wayfinding design for the Seminole Hard Rock Tampa parking garage and casino expansion located in Tampa, Florida. Photo courtesy of Kraft Construction.